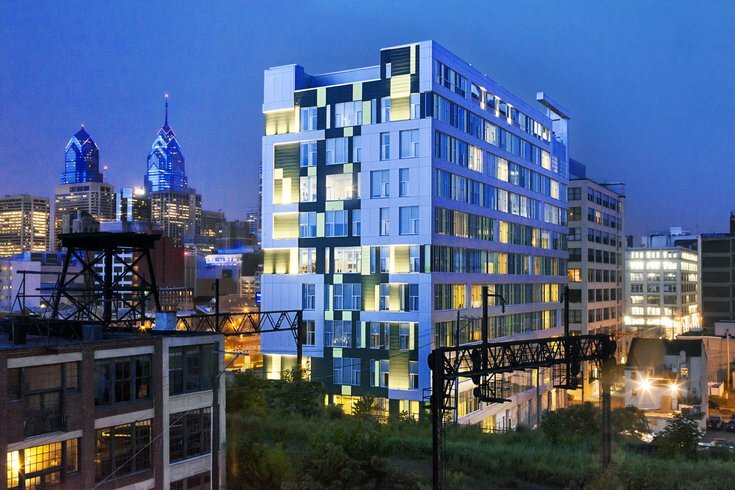 The Goldtex Apartments complex is the first LEED Gold-certified high-rise residential building in Philadelphia. 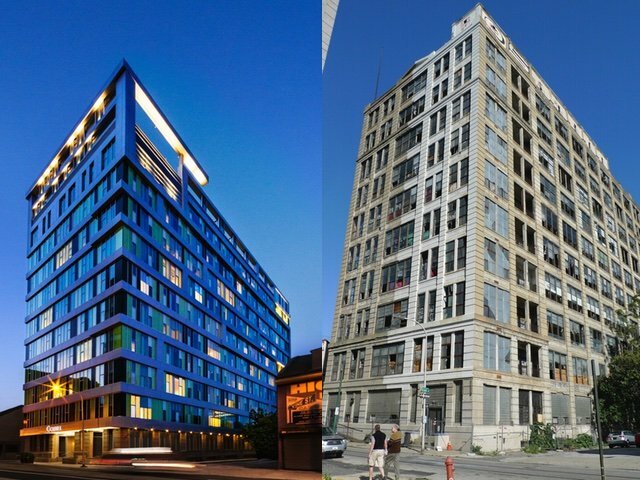 The Goldtex apartment building in the Callowhill neighborhood has proven that it’s really green: It’s become the first residential high-rise in Philadelphia to get LEED Gold certification. The former shoe factory went from a graffiti-covered heat sink to a thoroughly modern apartment building. A foot-deep insulating thermal barrier envelopes the entire structure, and special glass allows light but not heat to penetrate inside. "We took an old, abandoned industrial building that was in terrible shape ... and we put a whole new skin on it,” said Mike Pestronk, CEO of Post Brothers. Other ecological features include a new HVAC system, special lighting and the fact that it runs entirely on wind power. All the other Post Brothers buildings do as well. Still, it took some time since the building opened in 2013 to earn the certification, the highest level awarded by the U.S. Green Building Council. That’s because buildings can’t be certified until people have actually lived in them and there’s data to prove that it really is as energy efficient as it was designed to be. Other factors like air quality or how air flow between apartments are taken into account as well. For example, you shouldn’t be able to smell what your neighbors are cooking for dinner (or, ahem, other odors). 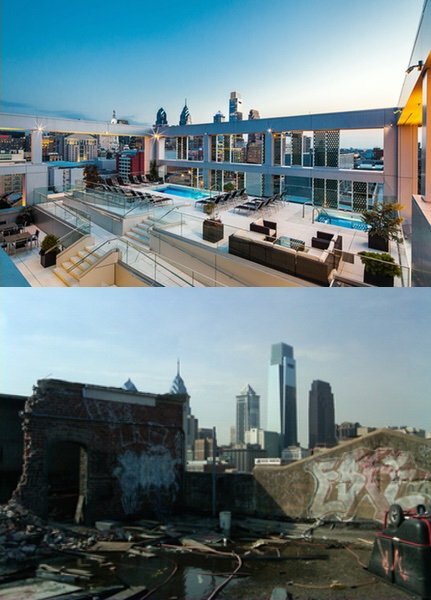 The roof of the Goldtex building, before and after renovation. "We didn't do all these things to get a LEED certificate,” said Pestronk. “We did these things because we wanted a happy and healthy building." Most of the building was “gutted down to just the bare structure” when it was renovated, said Pestronk, because, "Old facades are really not very energy efficient at all, especially when you have exposed concrete and exposed brick." The biggest challenge during the reconstruction process was not structural but political. An ugly, sometimes violent feud broke out between union workers and the Post Brothers when the brothers decided not go with a 100 percent union workforce. The facade of the Goldtex building creates a foot-thick layer of insulation. “I can't say what changed in the construction industry. Construction is really busy right now and it seems to be good for the whole industry," he said. He also said that the company hires “the most qualified people whatever their affiliation is,” union or nonunion.